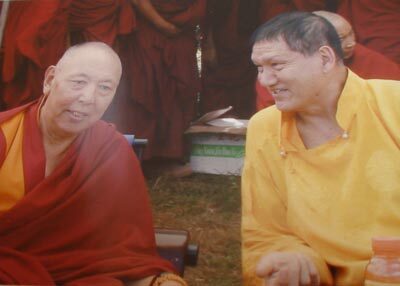 Why does Dorje Shugden appear so fearsome? This entry was posted on Tuesday, December 15th, 2009 at 8:53 am	and is filed under Monasteries. You can follow any responses to this entry through the RSS 2.0 feed. You can leave a response, or trackback from your own site. 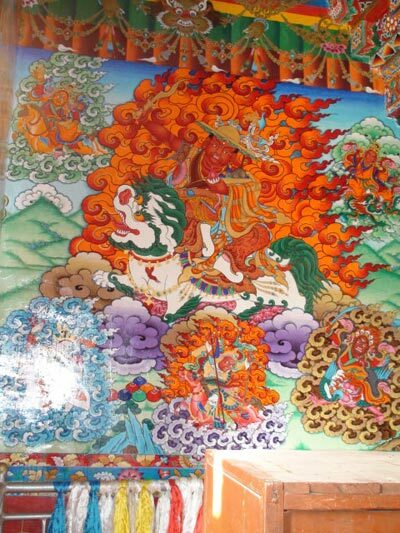 Judging from its apprearance, the Dorje Shugden Monastery in Chakzamba, Riwoche, in the Kham area, is very old. 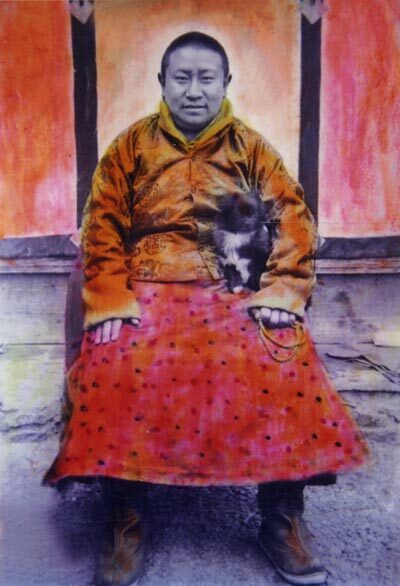 It has many thangkas of the protector, which because of their age and artistic value, should be preserved for posterity. They represent the history of a tradition and will be useful for researchers who wish to find out more about this special practice. Besides the video, it’d be good to have a short write-up on the history of the monastery. I hope to visit this place one day and look at the old thangkas. By watching the video I would comment on the Monastery with a different view. Although the Monastery is small everything inside the Monastery is very beautifully decorated with Thangkas and statues that todays sculpture work cannot be compared to the Traditional workmanship which is done by hand. In the modern times work are done by machine and can be reproduced again. I notice at the back of the Monastery is a range of mountains which can give peace and serenity when one is there. It is a good environment for meditation. Only people in the mountains like the Kham District in Tibet will give the faith and believe in Dorje Shugden without questioning. In Kham District majority of Tibetans pray and believe in Dorje Shugden.